Book a tee time online. There's always something fun going on at Harbor Pines. Take a look at our upcoming events! Ever wish the pro shop could come to you? Now it can! Take a look at our online store. Click Here to Access Our Latest News and Specials! Serving the Atlantic City golf community and entire Philadelphia golf region for 20 years, Harbor Pines Golf Club is a premier South Jersey golf course. Consistently voted a Favorite Place to Play golf in Atlantic City, Harbor Pines offers outstanding course conditions, pace of play, and service that rivals any private country club. From the moment you arrive, you know you’ve made the right choice. Impeccable conditions, beautiful surroundings and a challenging but fun course just minutes from Atlantic City, Ocean City and South Jersey shore points. Five sets and two combo tee options accommodate golfers of all skill levels. Distinctive bunkers, and large undulating greens are designed within this Parkland Style course. Harbor Pines Golf Club also offers three separate and distinct practice areas. After your round visit the Harbor Pines Grill Room and enjoy a fantastic Pub-Style Menu while you watch the on-course action from the covered patio which overlooks the 9th Green, 1st Tee, and blue azure pond home to various south Jersey wildlife. 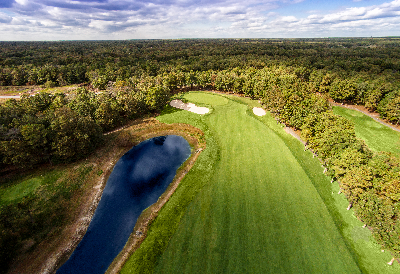 Open to the public, year-round, Harbor Pines Golf Course is South Jersey’s favorite place to play golf. Looking to play a great round of golf in the Atlantic City area? Start by choosing the right course. Choose Harbor Pines Golf Club. Simply the BEST! Never miss out on course specials or events again! Click here to register for updates!